Rhoddy Marketing Group Selects Natural Insight to Manage Experiential and Merchandising Workforce Across Canada. 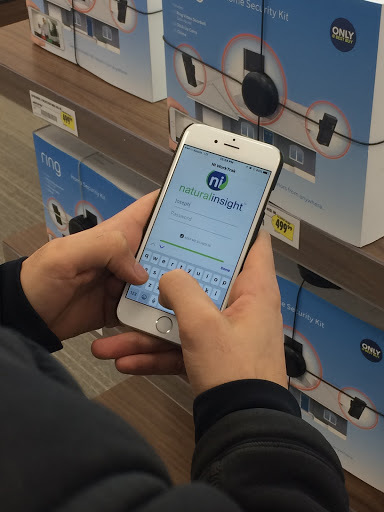 Sterling, Va. – January 25, 2017 - Natural Insight, a leader in enterprise cloud and mobile applications for retail merchandising and workforce management, announced today that RHODDY Marketing Group has signed on as a new client. The Toronto-based marketing firm is known for creating memorable brand experiences for its clients such as Tim Hortons, WestJet, Volvo and Facebook to name a few. From consumer events to grassroots outreach programs, RHODDY relies on Natural Insight to manage and deploy its workforce across Canada. RHODDY leverages Natural Insight to enhance communication between field and office staff, schedule assignments, send instructions, oversee project completion, collect and analyze field data for both experiential marketing, sales and merchandising activities. Natural Insight is the enterprise platform for delivering perfect execution through enhanced staff communication, on-demand staff scheduling, integrated timekeeping, project management and Reveal Analytics. With its mobile WorkTrak app, the company enables workers to be more productive, anywhere at anytime, creating a seamless field data collection experience. Benefits to companies include cloud-based technology that can be set-up in just days, robust reporting tools and a dedicated account manager for personalized customer support. Merchandisers, product companies, marketing agencies and retailers in over 20 countries rely on the Natural Insight Cloud-based platform to improve retail execution and reduce costs. Natural Insight leads the industry today with fully integrated mobile and Web-based staff scheduling, timekeeping, task management, field communications and analytics. Natural Insight is privately held and headquartered in Sterling, Virginia with offices in Toronto, Canada and Birmingham, England. Visit naturalinsight.com for more information. Integrated by Strategy, Driven by Passion, Delivering Results. RHODDY Marketing is a fast-paced, energetic, and vibrant Marketing and Sales agency. We thrive on creating memorable brand experiences, in and out of retail, that leave lasting impressions and drive measurable results. We deliver on Consumer Engagement, Sales and Merchandising, Digital and Social and Data and Measurement. Learn more at www.rhoddy.com.